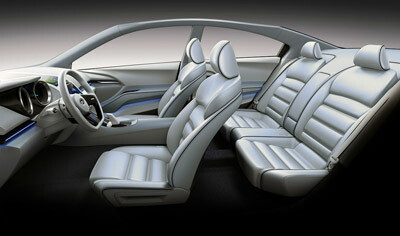 Subaru unveiled the Impreza Design Concept at the 2010 LA Auto Show. 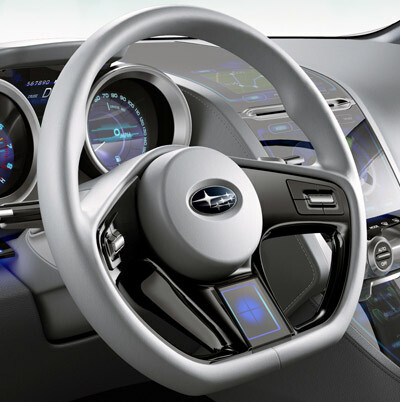 The vehicle was designed to hint at the future design direction of the Impreza, and also show off Subaru's latest infotainment and safety systems. 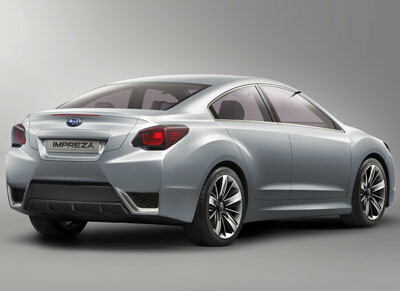 The Subaru Impreza Design Concept previews the company's new "Confidence in Motion" design and brand strategy. 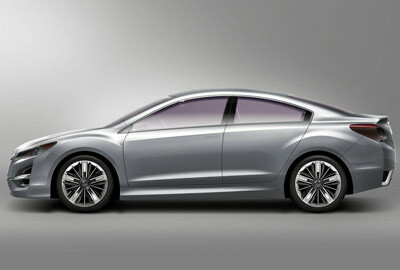 The Impreza Design Concept features sharper more angular contours than the current Impreza model, and it also looks a little more "grown-up". 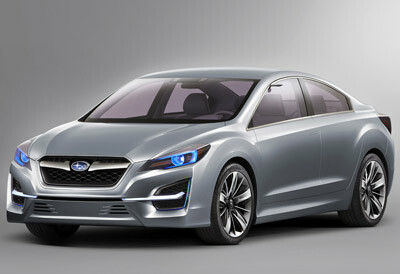 Subaru's designers blended two ideas - "dynamic flow and confident stance" when developing the concept. The car's pronounced wheel arches also help underline the AWD layout. The front and rear bumper corners - which were developed with the help of a wind tunnel, contribute to the Impreza Design Concept's overall aerodynamic efficiency. Diffusers on the underside of the rear bumper and the rear deck emphasize sportiness and also do their part for aerodynamics, helping improve fuel efficiency. A large display in the center dash combines functions for navigation, vehicle information and audio. The touch panel technology provides ease of use, seamlessly melding information and entertainment features. The platinum leather-wrapped steering wheel features D-shaped spokes set off by piano-black center sections. The wheel cleverly incorporates its own touch panels, giving the driver easy access to various vehicle functions. Powering the Subaru Impreza Design Concept is a 2.0 litre naturally aspirated Boxer engine which is coupled to a Continuously Variable Transmission (CVT) driving all four wheels.